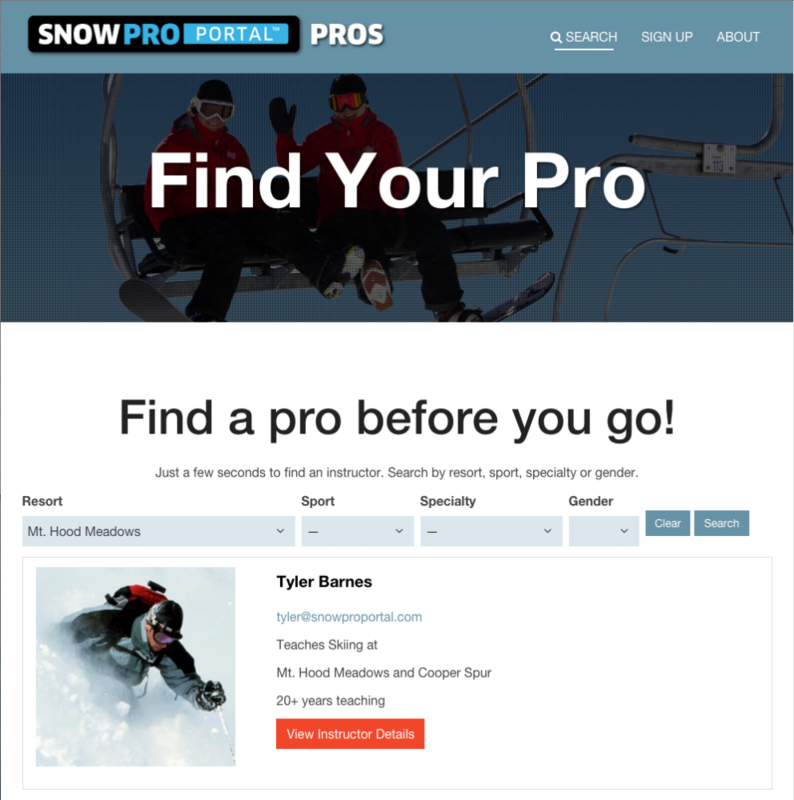 The SNOWPRO PORTAL™ PROS was born from the need for our individual and schools clients to have an easy to use instructor profile search that could be used on this website or integrated into a resort’s public facing website. Guests are typically looking for instructors of a certain age, gender, sport and/or specialty. Making this search easier for guests allows them to find just the right instructor for their lesson and make a lesson reservation request right from the instructor’s profile page. 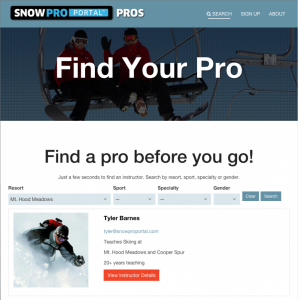 Individual Pros who have a SNOWPRO PORTAL™ Individual Pro Site have access to creating a searchable profile on this website as part of their annual plan. Schools who are SNOWPRO PORTAL™ Schools Ultimate Plan subscribers may enable all these features for their instructor staff as part of their annual plan. Individual instructors may create a profile on this site for a very low season fee and have access to all our features. Specific resort schools work directly with us to create and customize their “white labeled” instructor profile search that can be integrated right into their website complete with customized color scheme, branding, search terms, lesson reservation messages and more. Mt. Hood Meadows and Squaw Valley have integrated our service into their public facing websites. Below is an example of the Mt. 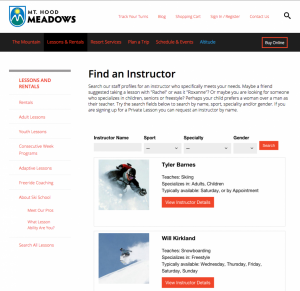 Hood Meadows instructor profile search page.